Eric writes: With a some rarities showing up in the Chicago area, a few of us Indiana birders headed across the state line on the last day of February. 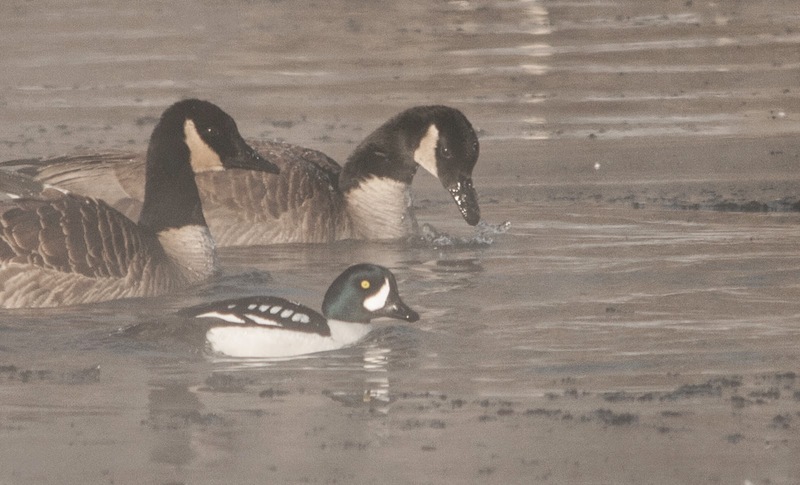 We started at the Fox River, where a Barrow's Goldeneye had been found in mid-February. When we arrived, Mike and Jeff Timmons, already had the bird, so all we had to do was watch and enjoy! After we had our fill of the goldeneye, we headed to Lincoln Park where our next target has been residing. When we walked up, our target, the Bohemian Waxwing, flew a little ways to the east but quickly returned to offer great views. It never offered great photo opportunities but at least we had great views. 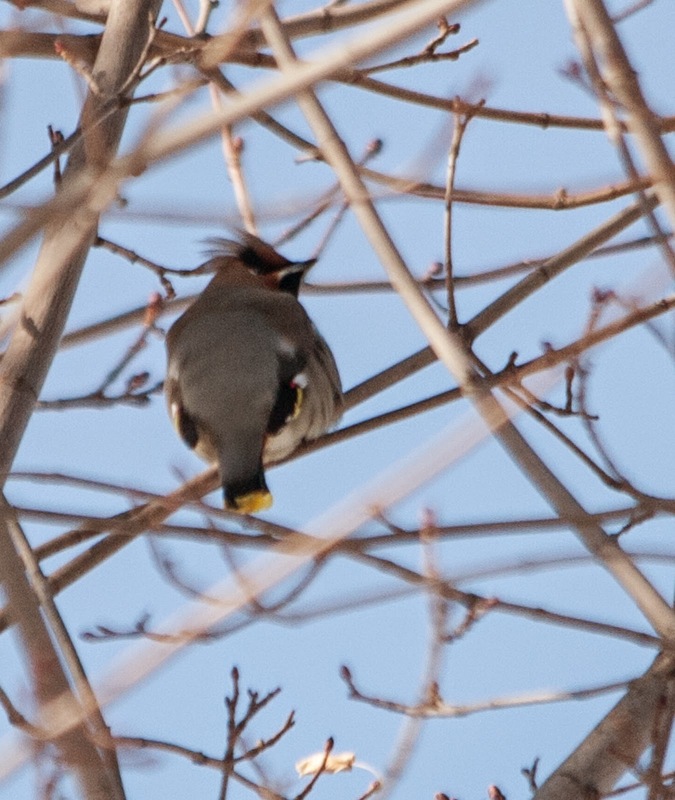 The Bohemian Waxwing from Lincoln Park. 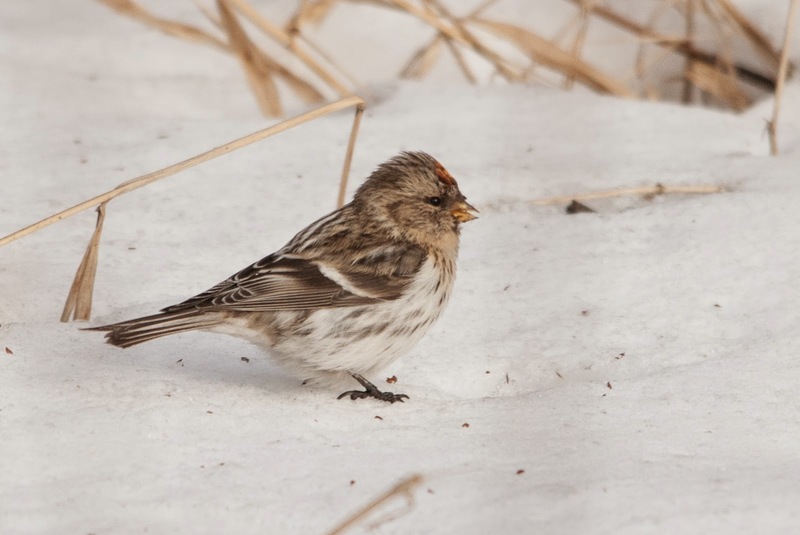 After the Bohemian, we headed to Wolf Lake to see the redpoll flock that has been feeding in the area for a few months. 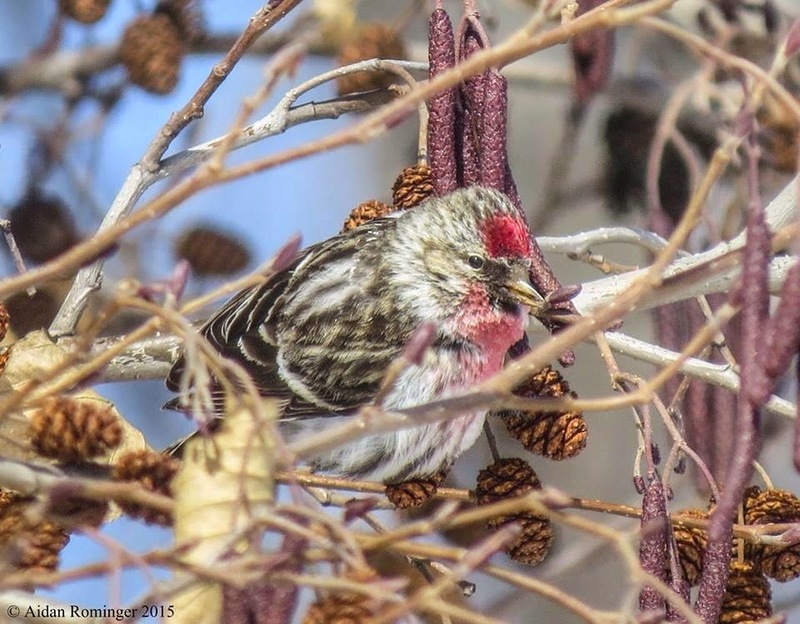 We quickly located the redpolls and were offered great views and good photo opportunities. A nice addition to the flock was an adult male Common, that we didn't see a couple weeks ago when we were birding this location. We finished off the day birding two spots on the Indiana lakefront. Our first stop was at the BP warm water outlet which was fairly slow, but our second stop at Portage Lakefront Park was productive. 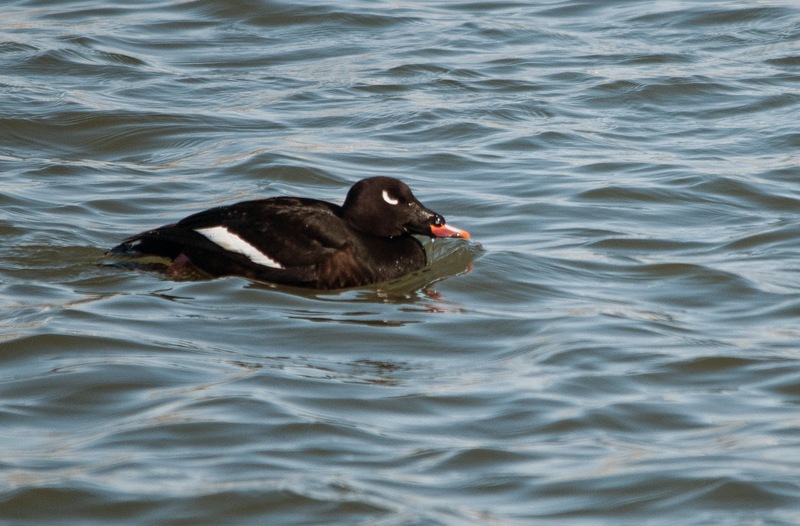 There was a good amount of waterfowl which included White-winged Scoter (4), Surf Scoter (1), and many of the more common species.